The Huskies' talented sophomore trio down low all punched Region tickets, with Kamrin O'Neill winning the 120-pound D19 Title, and David Rubin (106) and Lee Rubin (113) both placing 2nd. Kamrin O'Neill's 24 wins in 2018 was the most for a Matawan frosh since Khalil Haskins in 2013. 12/22: vs Red Bank Regional - A forfeit in the final bout snapped a 4-year win streak for the Huskies over RBR last season. Matawan attempts to start a new streak on the 22nd in a quad at Ocean. A very young team last year, that is looking for bigger things this season under new head coach Ryan O'Steen with the year of experience to their credit. The bottom part of the lineup looks like it could be the strength for Matawan, as there is some good talent returning, and some nice depth. Kamrin O'Neill had a great debut season for the Huskies in 2018, leading the team in victories with 26, and advancing to the Regions by placing 2nd in the District 20 Tournament. David and Lee Rubin both had nice debuts as well, mostly splitting time at 106 a year ago. They can provide a good 1-2 punch at 106/113 for the Huskies this season. Also returning for the Huskies, providing senior leadership among all the youth around them, are 15-match winner Daniel Higuita and Moises Rojas. 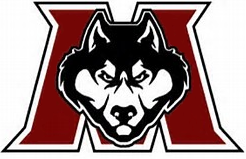 A trio of returning starters lead the pack in the middle with senior E'Unique Gittens-Russell, junior Thomas Arendt, and sophomore Adam Coleman all back, giving Matawan good middleweight experience. The numbers are a little lighter up top, so the Huskies will have to do some shifting around. Returning starters Hanan Babar, a senior, and sophomore Ryan Calo are returning starters, so there is some experience to work with. Sophomore heavyweight Elias Kouri saw a little action in 2018, going 4-1. This has been a hard working group, looking to improve. The sophomore class especially has put the time in to improve and are looking to help carry the program to improving on last year's win total. The lowerweights look strong, so if the hard work put in by the guys in the middle and up top put in pays off, this could be a pretty balanced lineup.